Home › rumors › Paris st Germain: the end of the road for Laurent Blanc ? 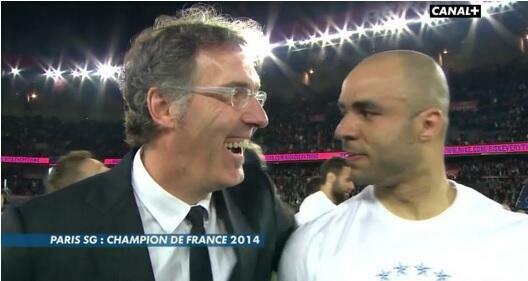 Paris st Germain: the end of the road for Laurent Blanc ? Today’s PSG news were unexpected and incredible! Italian newspaper, Corriere Dello Sport, announce current PSG’s manager Laurent Blanc lay off and the imminent arrival of former Juventus coach, Antonio Conte. The deal is so much advanced, that an announcement is imminent, maybe for Thursday, July 24th. Corriere is a quite trustworthy paper, could that be the end of the road for Laurent Blanc? It’s well-known that Blanc’s signing was second best for the club’s ambitious owners. Two months ago, “Le Président”, signed for two more years, an event saluted by PSG’s president Nasser Al- Khelaifi, as “evident and legit”. Even so, the Parisian club still have a strong bond with Italy, first by the former sports director, Leonardo and now with Jean-Claude Blanc, Head of the club, and former director at Juventus, between 2005-2011. PSG’s reaction was immediate, denying any negotiation with the Italian coach. Would that be a clever manoeuvre from Conte, while he’s negotiating with another (italian) club? Leaving Juventus after winning three “Scudettos” because the club refused to sign enough players to shine in the Champions League event and being too young,( as announced by some Italian pundits: aged 44, too young ?) to lead the Italian national team, he has no other solution, but to coach another team. Does he try to speed the negotiations by putting up some pressure? We’ll keep you posted. ‹ Plus de Foot ? Que nenni !